Amid the celebrations of Canada’s 150th birthday last year, there prevailed an anxiety surrounding its colonial origins, and the efforts to reconcile past and continuing mistreatment of its indigenous groups with its modern national identity. 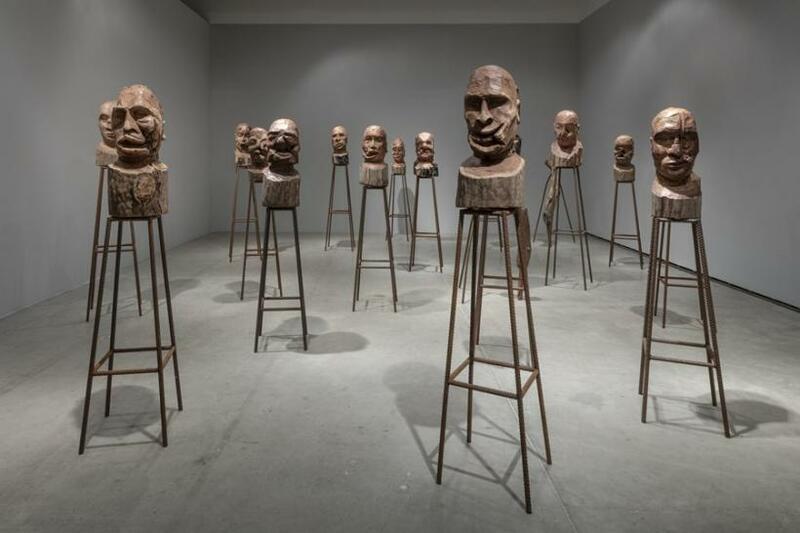 It’s within this context that French artist Kader Attia stages his first major exhibition in the country, Fields of Emotion. 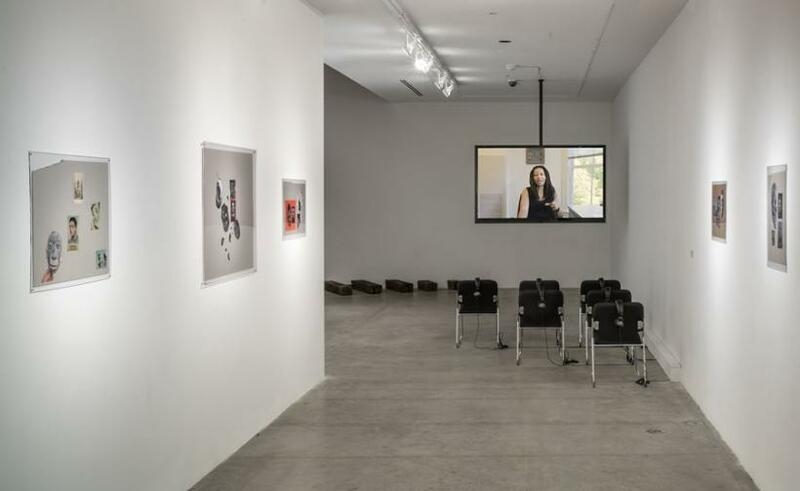 Presenting a series of works dealing with political and individual traumas, Attia traces a thread of genealogies and histories which offset sanitized narratives and explores the lingering impact of atrocities left unaddressed or disavowed. ‘The Body’s Legacies, Part 1: The Objects’ (2018), commissioned specifically for this exhibition, explores the legacy of sacred objects expatriated from indigenous groups across the world. 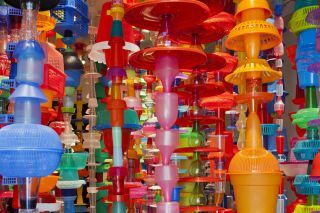 Displacement of the object aestheticizes the historical loss experienced by the social group and recent and current attempts to return the object animate an inability to recuperate those losses. Nearby, photos of scarred and injured faces of wounded soldiers are collaged with African masks. Rather than seeking a restoration of the original object, repair maintains the violent histories through visual marks left behind, becoming an opening rather than a closure. 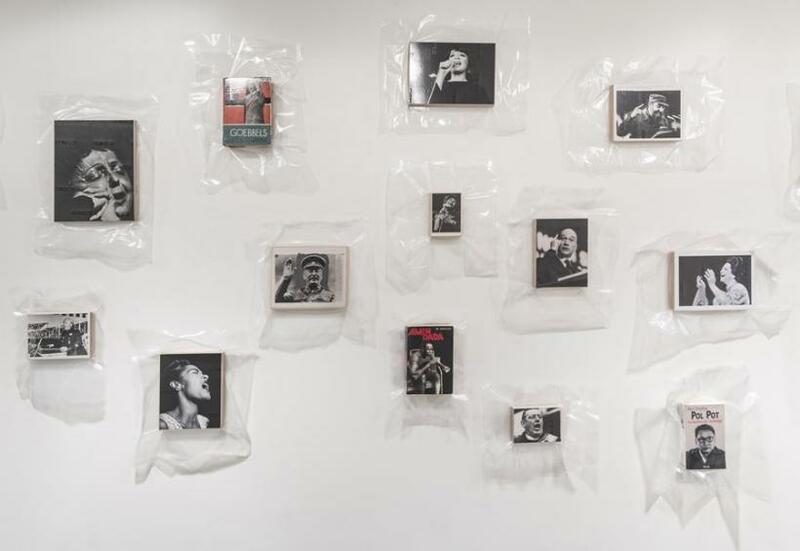 This connection between physical trauma and injury on the body politic is a continuation of Attia’s recent work ‘Reflected Memories’ (2016), also shown here. Interviews with sociologists, psychologists, and surgeons explore how the marks of loss are widened after psychological or social trauma, becoming physically sustained in the psyche of individuals as a persistent ‘phantom limb’. Amputated individuals are reflected in large mirrors, insufficiently ‘completing’ their missing halves. As the phantom limbs reclaim their lost space, ‘filling in’ the void of their violent removal, Attia underscores how psychological pain is echoed and expanded by the absence left behind. 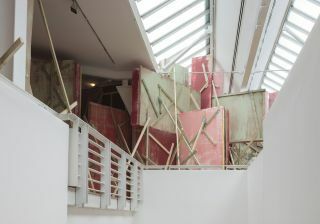 The confrontation with irreparable injury is what literally stitches together the show: two untitled canvases bear long stitched scars on their otherwise blank surfaces, while at the end of a long hallway and hanging at eye height is a bisected mirror, haphazardly repaired with metal staples. 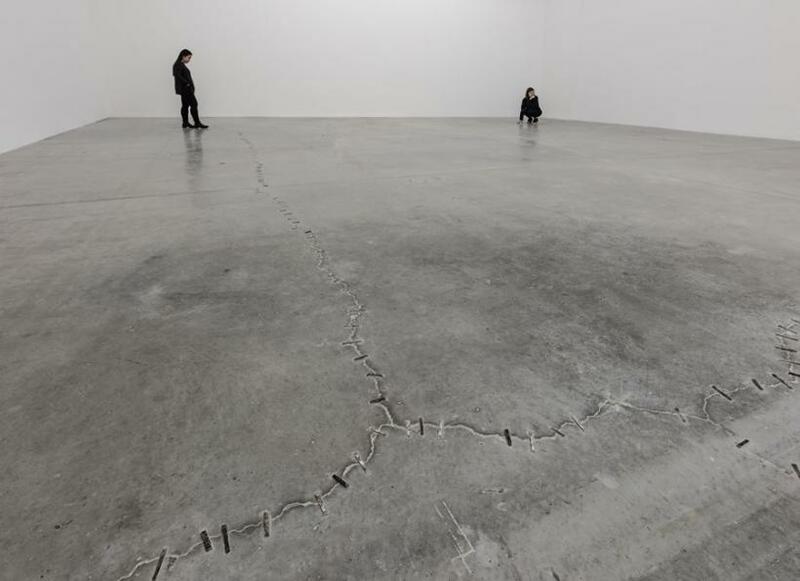 Long cracks on the concrete floor are stitched back together, perhaps an attempt to keep it from destabilizing and falling apart altogether. 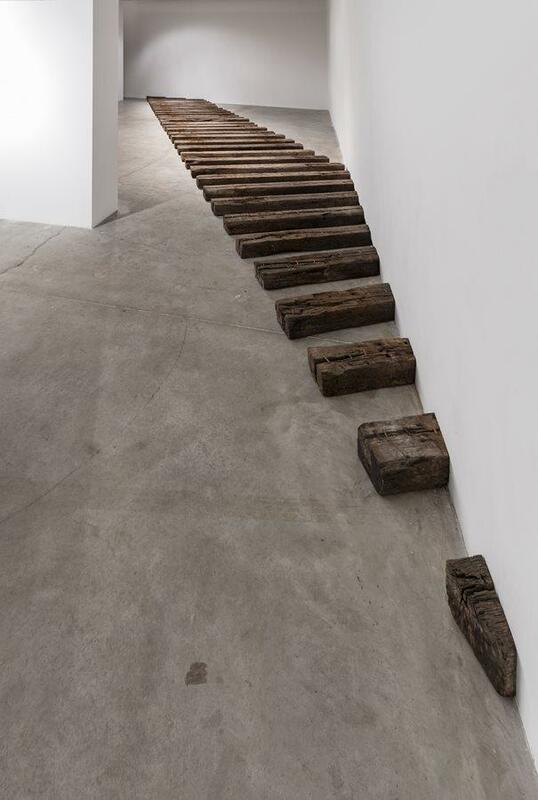 A row of rotted railway ties, held together by more metal sutures, binds two rooms together around an awkward corner as photographs of colonial railways built by indigenous labour root the origins of these crises. Rather than erasing an injury, the visual marks of repair make the traces to these events permanent: reconciliation continually replays the violence of the original crisis. This continuous return hinges on ‘J’Accuse’ (2016), an installation featuring French director Abel Gance’s film of the same name. An anti-war film first shot in 1918, then remade in 1938, Gance cast wounded WW1 veterans as the ghosts of the war dead: spectacularly raised from the grave, they march across Europe to return to their homes. The living, at first unable to comprehend this fantastic return, are forced to confront the aftereffects of the soldiers’ sacrifices as they literally enter their homes. 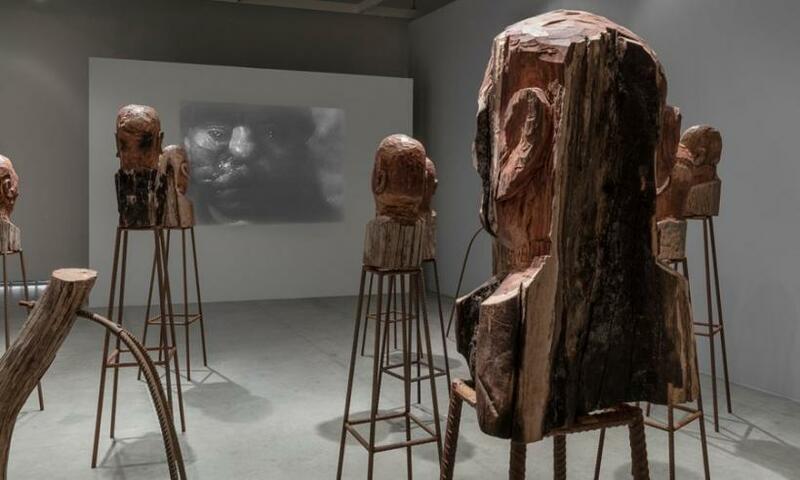 Facing the film are a series of huge wooden busts, modelled from images of disfigured patients found in several medical archives, mirroring the march of the dead in the film and appearing almost monstrous - further feeding the notions of being ostracized and anxiety surrounding disfiguration as a result of the war. It’s the phantom memory of the thing, and the fear of its spontaneous eruption from the dead ground, which allows the injury to persist, and even widen, as it is consciously ignored. The illusion sustained by modernity is that injury can be repaired, trauma forgotten or controlled, thereby erasing it. By making leaving the cracks and repairs visible, by expanding the leftover space of the lost limb, Attia, like Gance, demands that society confronts its still-living wounds.